~ MYCycle, guided cycle tours of Mysore and Srirangaptnam or tailored to your particular interests. ~ Information and Advice about Mysore, the surrounding area, things to do and all things India AND we’ll tell you if we don’t know! all to help you have a great time in wonderful India. Manjula pretty much runs the BnB with a little hindrance from me. I’m the bookings clerk and increasingly I know my place! When I’m away Vasanth steps in to help with the overall co-ordination. Lucie somehow thinks we’ve set-up the BnB just for her to make new friends. She can be a little over-friendly but has a heart of gold. Manjula originally from Mysore has worked for families in Bangalore and Mumbai and now the poor woman, she’s lumbered with me. Well what can I say? She holds it all together, a great character I’m certain you’ll agree. Me. I’m from the UK had a varied career most recently working with corporates helping them to be ethical, whilst designing and delivering leadership programs,including for TCS and OUP but what’s really important, is I’ve fallen in love with India. And now I realise how great it was to have such an incredible mix and variety of visitors from around the world. I love it! 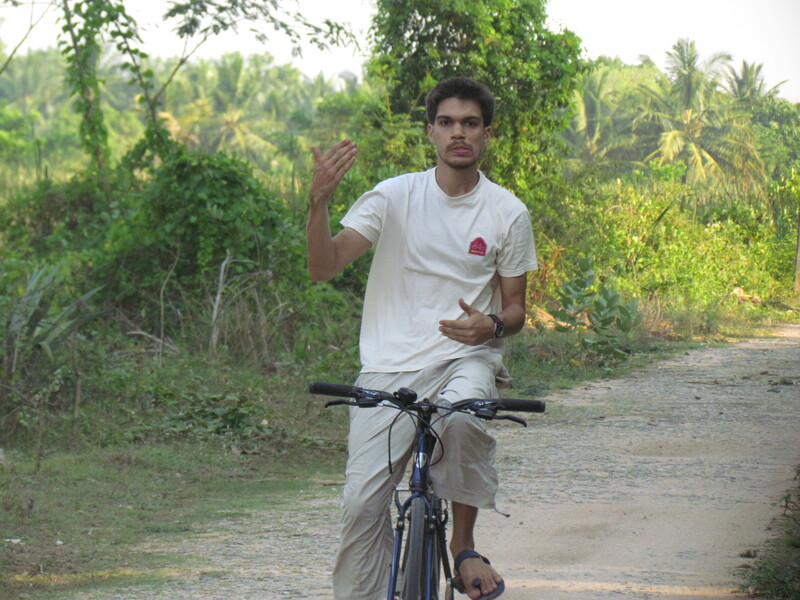 I also lead our cycle tours. 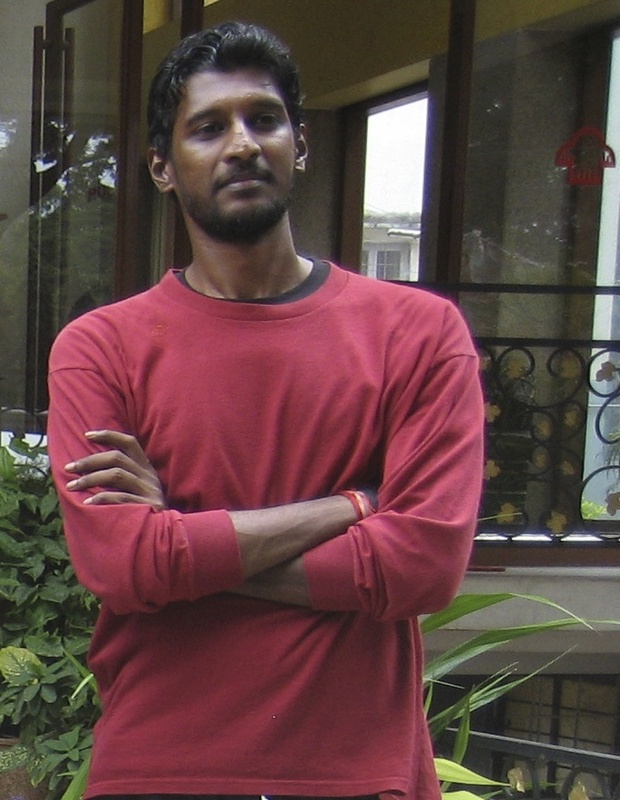 Vasanth, is a longstanding great friend for over ten years. He’s the very first person I met here in the lovely Mysore. Manjula can also call on other drivers that we like and trust in both rickshaws and taxis. They provide a cost effective and competitive service that includes local tours (where you get to see where other drivers fail to go…) and guarantee not to take you into shops and will not accept a commission… above all they are personable, charge a fair fare, can speak reasonably good English and like us want you to leave with a good impression of us and this amazing place. 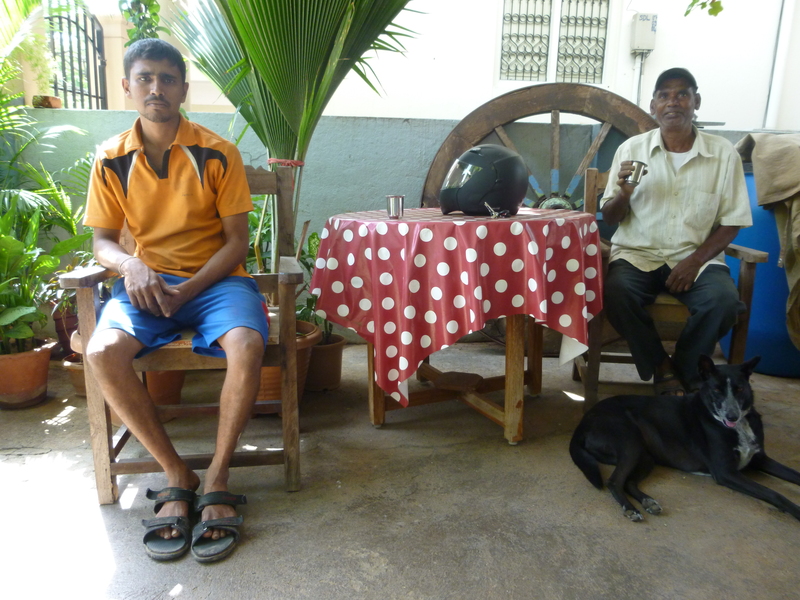 Manjula has Kamalama and Mangla who help in and around the house to keep it spotlessly clean. There are plenty of breaks for chai and elevenses. Lucy as always has to get in on the scene. Here’s the top Auto Rickshaw (they are not called Tuk Tuks) Team, (first photo) from the left: Satish, Vasanth, Lokesh and Babu who between them have 50 years experience providing transport to local and international guests. Our two main car drivers are Vally (pronounced wally) and Aziz. Tanu (Tanuja) is second from right with her daughter, together with Manjula and guests of Mysore Bed and Breakfast. Tanu has become a great friend. An absolute mine of information she also provides a range of great tours covering nature, textiles and much more. Narayanappa, was our gardener. He unfortunately died earlier this year and the plants he’s created around the house and on our roof terrace is a lasting memorial. Vidya, has a very important role. She transcribes manjula’s story into English from the Kannada recording for Stephen to use on our bloglet. 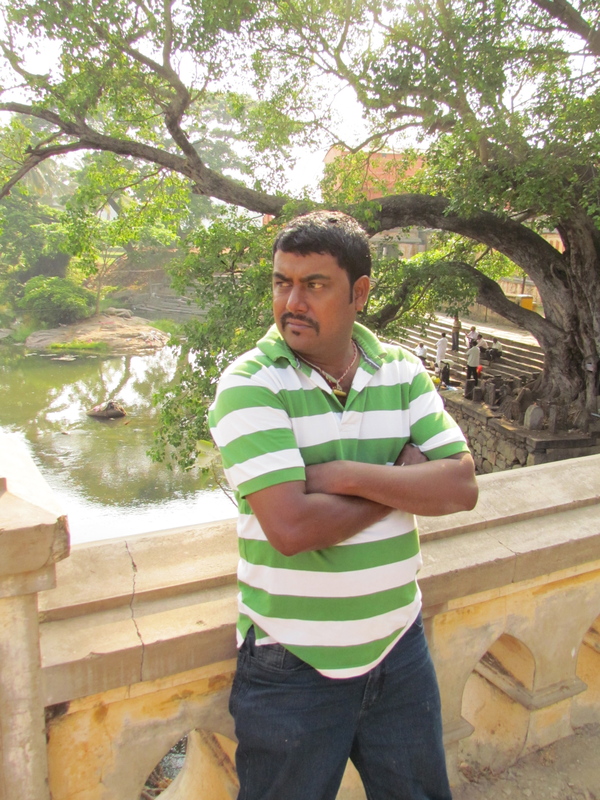 lives most of the time on Srirangapatnam , previously, one of our guides and he’s now moved on to focus full time on his farm. He remains a good friend and a continued source of help and advice. 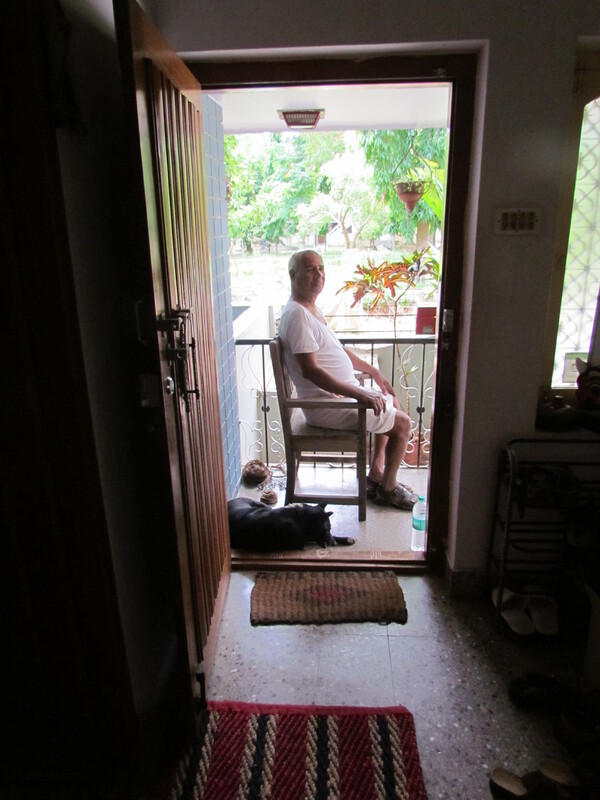 is the owner of our house, who kindly comes to hang out and supervise whenever there is a BIG job such as the recent repainting of the outside. Do you have a double room available from 12th Dec for 2 nights?